Independent Vancouver mayoral candidate Shauna Sylvester has delivered a petition to Mayor Gregor Robertson’s office, calling for the city of Vancouver to renew existing co-op leases, which are long overdue for renegotiation. The city has created a very precarious position for those living in co-ops on leased city land, Sylvester said. Some of those leases are due to be renewed in two years, she noted. Many of those leases do not allow the co-ops to get the kind of financing they need to do repairs, she explained. La Co-op fédérée, the largest agri-food enterprise in Québec, says it is disappointed by the federal government’s concessions on supply management in the milk, poultry and egg sectors in the U.S.-Mexico-Canada trade agreement. The co-op said the agreement should have included full protection for supply management, a system that continues to demonstrate its effectiveness and relevance. 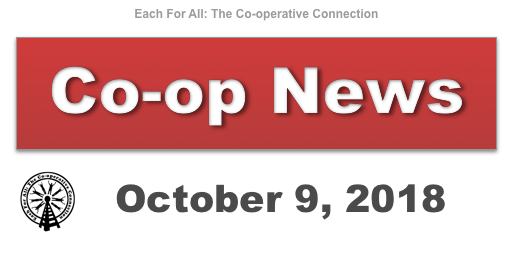 By ratifying an agreement that will create new breaches in tariff barriers for supply-managed sectors, the government is not giving full recognition to the agriculture and agri-food sectors, says the co-op. Over 130 union members at Moose Jaw Co-Op locations in Saskatchewan have taken to the picket line in protest of a new contract that would see some workers earn less. 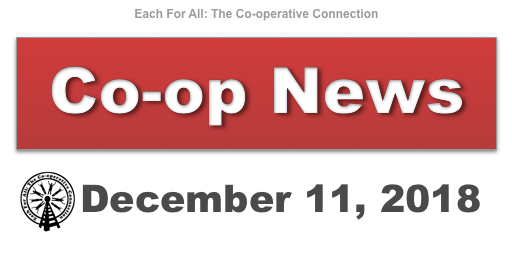 The basic issue is that there is a second tier of employees that the co-op has been hiring since the ratification of the last collective agreement who do the same work as everyone else—and they are paid significantly less, said a spokesperson for the union, the UFCW. After rejecting two contracts, 90 per cent of union members voted to strike. There are roughly 23 employees in that second tier, and 78 per cent of them are women. It’s not just a gender issue—it’s a human issue and an equity issue, says the union.